Montgomery Village is Montgomery County's first large scale planned community and was built by the Kettler Brothers in the late 1960s. With Lake Whetstone at its center, the community offers seven pools, tennis courts, community centers, and several recreational areas for its 40,000 residents. The median sale price for a home in Montgomery Village is around $240,000 making it one of the most affordable places in Montgomery County. Search on zip 20886 to find homes in Montgomery Village. 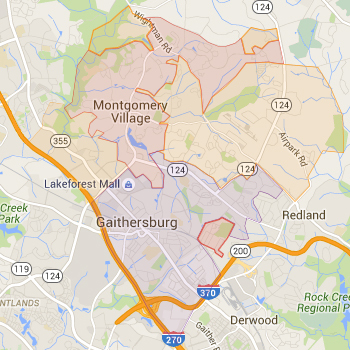 Most homes in Montgomery Village are assigned to the Watkins Mill and Gaithersburg school clusters. Always verify a home's school assignment directly with MCPS.